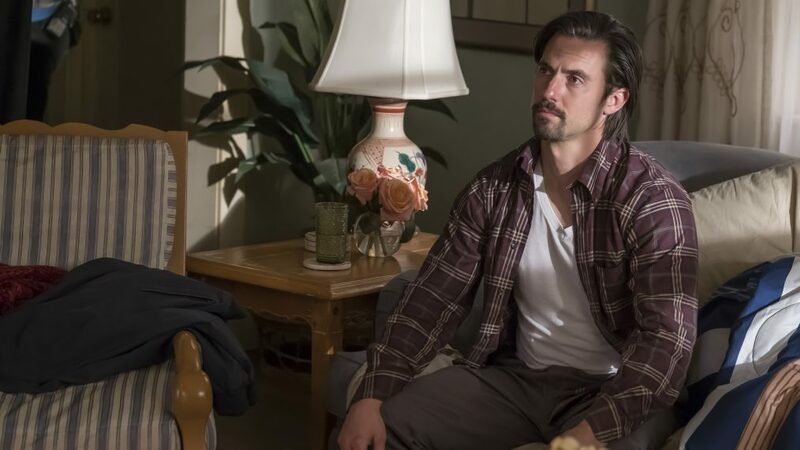 Milo Ventimiglia says fans can expect the This is Us finale to be a "rocky ride." The 39-year-old actor teased an emotional Season 1 ending for his character, Jack, Rebecca (Mandy Moore) and Kate (Chrissy Metz) in an interview with The Hollywood Reporter following Tuesday's penultimate episode. "I hope everyone has recovered from William's passing is all I'm going to say," he said, referencing William's (Ron Cephas Jones) death in Episode 16. "Get ready. It's a rocky ride at the end." Tuesday's episode saw Kate, Jack's only daughter, tell Toby (Chris Sullivan) she was responsible for her dad's death, which has yet to be explained. Ventimiglia confirmed the finale will also feature a "heartbreaking" scene with Jack and wife Rebecca. "It was pretty painful," he said of filming. "[It took us to] some place that we'd never been with This is Us, and it was just one of those moments that you were grateful for the work and grateful for the words you get to say and the partner you get to be a scene with." Ventimiglia previously hinted at a sad finale in a Build interview with The Huffington Post, saying that tissues are "probably mandatory." He assured fans, however, that he will remain a part of the show after Jack's death. "Dan Fogelman, our creator, said to me that no matter what, even though Jack is dead in the present day, that I'm not going anywhere," the actor said. As Season 1 of 'This Is Us' draws to a close, all of the Pearsons—past and present—find themselves at a crossroads. "Even though when you do find out how and when and why Jack died, it doesn't mean that the character is gone or I'm gone, it's just you shift direction and tell a different story. He equates it to having a family album -- you open up to a random page and you just start telling a story based on that photo," he explained. The This is Us Season 1 finale will air Tuesday, March 14 on NBC.